From Songchai’s Olympic Heroes collection Saenchai SinbiMuayThai formerly known as Saenchai Sor Kingstar fight the 2000 gold medal international boxer Sresatchanalai Sasiprahagym in Muay Thai. Saenchai is a multiple time Lumpinee stadium champion and has almost made an indelible mark as the pound for pound best in Muay Thai internationally as well. 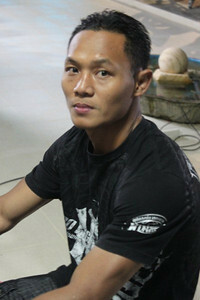 Sresatchanalai Sasiprahagym won Olympic Gold at the Sydney games in 2000 at flyweight. Prior to Somluck Kamsing winning gold in Olympic boxing this was a rare feat for any Thai competitor.